Injured on a Royal Caribbean Cruise Ship? Royal Caribbean’s newest Quantum-class vessels, like the Anthem of the Seas and Ovation of the Seas, are the second-largest cruise ships in the world. Individually, these vessels weigh close to 170,000 tons and carry up to 5,000 passengers. The guests engage in a wide array of high-octane activities, like pick-up basketball, trapeze artistry, and even open-water skydiving. All these people, and all these activities, present ample opportunity for injury. In fact, several years ago, a man mysteriously disappeared while on his honeymoon cruise, and his widow received a very large settlement. 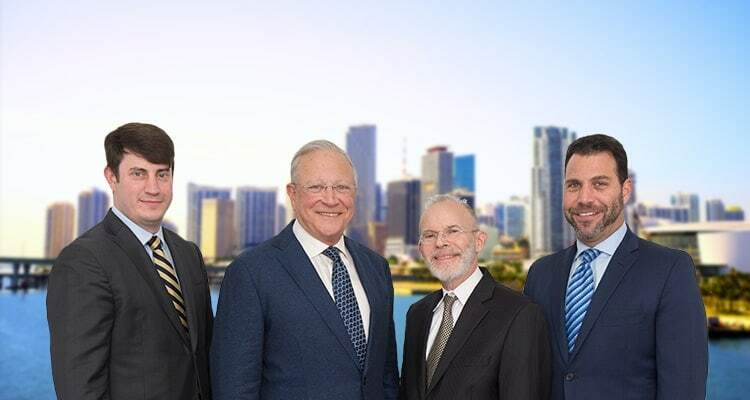 The diligent attorneys at Gerson & Schwartz, PA, thoroughly review all the factual and legal aspects of your case, and then work hard to obtain the compensation that you and your family deserve. We meticulously prepare for each and every preliminary hearing, witness deposition, or negotiation session, so that we can aggressively stand up for your rights. At trial, we assemble the evidence in a compelling way, to present your case in the best possible light. The risks on board Royal Caribbean boats extend well beyond the nature of the activities themselves. Many activities are supervised by regular crew members who have little experience or training in that area. Moreover, if there is a need on one part of the ship, crew members from other areas may be pulled off their normal duties. Finally, the on-board medical facilities may be little more than advanced first-aid stations, so injured victims may not immediately get the treatment and care they need. Falls: Loose rails, wet spots, uneven walkways, and other such conditions are common on many cruise ships. These hazards, coupled with the ship’s constant movement, might lead to broken bones, severe lacerations, and other wounds. Intentional Torts: When robberies, burglaries, assaults, and other offenses occur on a ship, the owner may be responsible for the victim’s damages. Medical Emergencies: Without prompt and proper care, heart attacks and other sudden events can go from very bad to much worse. Damages in these cases normally include compensation for both economic losses, like lost wages, and noneconomic losses, such as loss of enjoyment in life. Punitive damages are also available, in some cases. Any time an injury occurs to a U.S. resident on board a foreign-flagged vessel that is owned by a Florida company and operating in international waters, there are obviously complicated legal issues involved. Royal Caribbean tickets have a lot of fine print, and this confusing language often includes a choice of law provision, which states that all claims must be brought before the federal court in Miami. The Sunshine State’s law applies in these cases, and in most personal injury matters like these, there is a one-year statute of limitations. Additionally, Royal Caribbean often requires injured victims to provide written notice to the company within six months, and many cases are dismissed because of a failure to follow procedure. Other laws and international agreements may apply, such as the federal Shipping Act and the International Convention for the Safety of Life at Sea. A shipboard injury often turns the trip of a lifetime into an ongoing nightmare. For a free consultation with experienced attorneys who stand up for victims, contact Gerson & Schwartz, PA right away. You have a limited amount of time to act.